Restaurant entrepreneur Lee Hollinworth approached the Seven Plumbing & Heating team after a recommendation from one of our existing clients. He was looking for a plumbing and heating firm to work with him on the final stage of restoration of the Victorian building that would become The Clarence restaurant and bar in Bury. The building was constructed in 1905 and had all the stunning features expected from this period – however it has sat derelict for a number of years and needed a lot of love and work. The complete renovation took three three years and we came on board for the last 18 months to get them to opening stage. The premises is situated across four floors so we had to devise a heating system that would create the right levels of heat across the entire building. 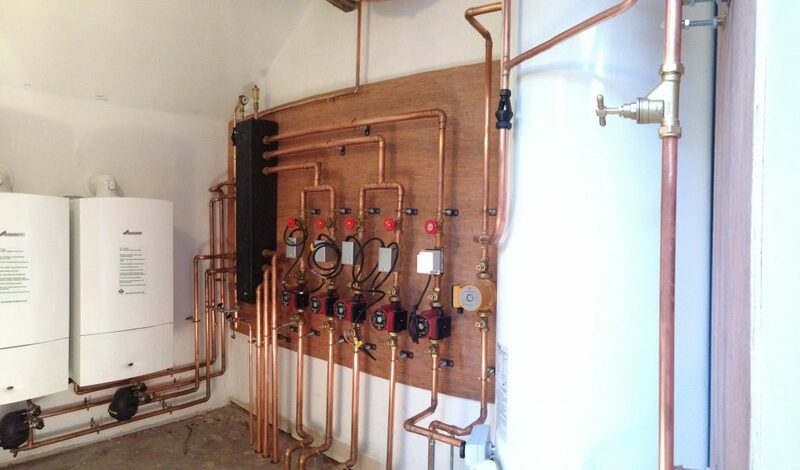 We installed two Worcester Bosch 30CDi boilers which were cascaded together using a Worcester low-loss header. 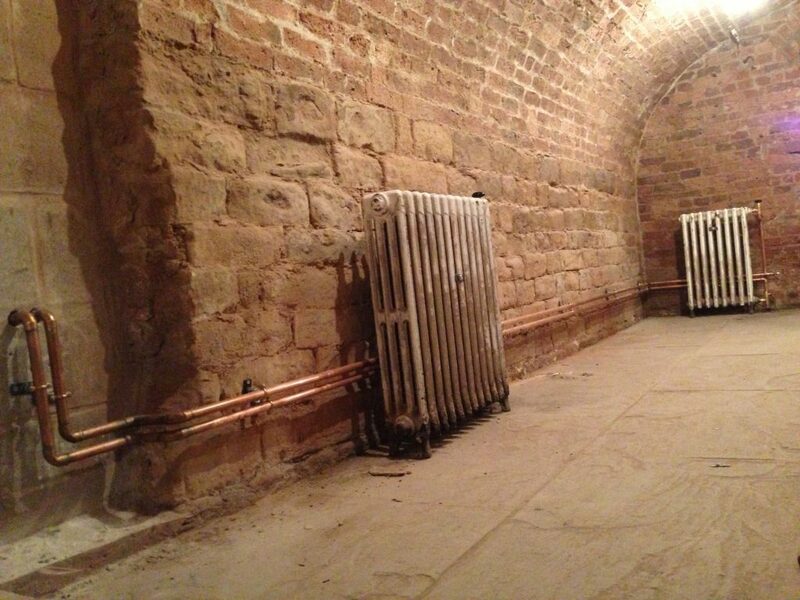 Where possible during the restoration the team wanted to use reclaimed items and so we installed a network of reclaimed cast iron radiators across the building. Using reclaimed items meant that the system required flushing a number of times to ensure the longevity of the boilers we installed. The whole look and feel of the decor of the building is very quirky with lots of exposed brickwork, oak floors and mismatched furniture. 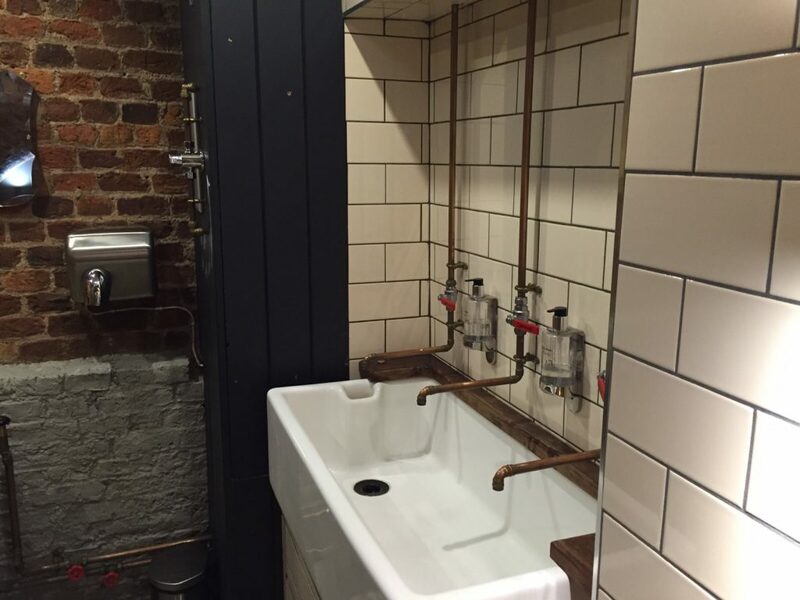 They wanted the bathrooms to reflect this too and so we hand-made and installed copper pipe work taps which went on to be a big hit with the customers when they opened. It was a really interesting project for the team to be involved with. If you are in Bury, you should pay them a visit and have a pint of Silver Street beer that is brewed in their own basement microbrewery.